Our professional quality Joomla themes for download are the key to your successful website. We have all kinds of colorful themes with amazing designs that will make your users want to come back to your new website. 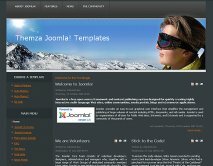 Our collection of Joomla themes for download has fully customizable themes that will become your unique place to show your content on the web: Quick Host, BT Variety, Football Fan, Website Builder, Colourful World, Vortex, Football Arena, Ski Club, Auto mania 2. Pretty customizable menus, a helpful contact form, easy connection between social media sites and your website are just a few of the broad range of readymade widgets that you can use to make your site feels like your own piece of art. Our modern sliders and clean lines will help you present your content professionally. 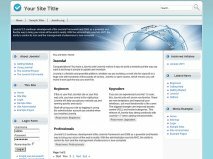 All of our Joomla themes can be downloaded easily from our site and you can start working on them right away. The user-friendly admin menus will ease your life so you can put up a custom logo, set your background color or upload an article.